The Cameroon forest covers about 20 millions of hectares, representing 44% of the national territory. At the sub-regional level, Cameroon possesses one of the most developed primary conversion wood industry. According to the Cameroonian Minister of Forestry and Wildlife, wood is the second export product after oil (Ngolle Ngolle, 2009). The wood production is currently estimated at 2.45 million m3/year. Today, 300 species are marketable, and five species (designed in Cameroon as Ayous, Sapelli, Azobe, Iroko, Fraké) represent close to 70% of the total production. The industrial exploitation of timber in Cameroon is governed by the law N° 94/01 (Cameroon Law N° 94/01, 20th January 1994), (Duhesme & Ngatchou, 2006) which actually stipulates up to date that the export of timber is forbidden and the totality of the national production must be transformed by the local industry. Following this law, close to 50 new factories have been constructed for a conversion capacity of about 1.5 million m3/year. The restriction of timber exportation is an industrialisation policy in the wood sector since it incites industries to invest in local wood conversion. Today, Cameroon counts about 87 factories of primary wood conversion, which are preferably situated in free industrial areas or close to the Douala seaport. The commercialisation of wood in Cameroon is well structured as far as the export market is concerned, but remains unorganised at the local level despite the reality of a progressing market. Exports are mainly for the European (that absorb 70% of timber and 90% of the sawing) and Asian markets. The local market consumes essentially 2nd choice sawing and plywood. A good part of the internal demand of wood is satisfied by cut wood from the artisanal sawyers. Statistical analyses have shown that there exists a considerable difference between the volume of logs bought by primary conversion wood factories in Cameroon and the volume of the cuts leaving the industries. This low efficiency results in the waste of raw material, which is burnt as biomass. Moreover, with the trend towards accelerated investment, it would be imperious to regulate and to orientate the development of the primary conversion wood factories in Cameroon so as to make it compatible with the long-term management and forest planning. The present work therefore proposes methods of optimisation in order to improve on the wood production capacity and quality, alongside avoiding a waste of the logs. During the last decades, the introduction of computerisation and data processing have revolutionised methods of design and manufacturing in the domain of wood production; firstly in the industries, with the introduction of numeric positioning machines and later on those with numeric command, to carry out machine works of increasing complexity. Several research teams have developed simulation and optimising computer software systems (Pinto, 2004; Chiorescu & Grönlund, 2000). Nowadays the use of data is common, either by implementing all the required manufacturing dimensions directly into the machine, or by an interface that enables the entry of data with CAD software: cross-sections, lengths, choice of tools, etc… (Perré & Badel, 2003). These changes are imposed by the supply cost of the logs and the cutting cost, which all together counts for a continuously increasing portion of the selling price of processed woods. The raw material and the production capacity of sawmills should therefore be efficiently used in order to extract from every log the optimal quantity (Danwé, Bindzi, Meva’a & Mbagnia, 2009). In this work we studied the optimisation of wood production in industries of primary conversion. Primary wood conversion embodies the set of operations performed on trees hence they are cut and transported out of the forest. It comprises the activities of sawing and wood planning, unrolling and trenching, drying, and finally wood impregnation. This survey applies to the situation of Cameroon. We started our work with the generalities on the exploitation and the primary conversion of wood in Cameroon, after which we studied the various methods of cutting and the different products obtained. We then proceeded with the formulation of the log cutting optimisation problem based on a real shape model of the logs, objective of research works presented in (Danwé, Bindzi, Meva’a & Nola, 2011). We finally completed our work with the design and the presentation of a software package called cutting optimiser. The achievement of a better profit in sawing industries depends mainly on the mathematical representation of the logs of wood during cutting up. Geometric modelling of logs serves as a preliminary stage in the automation of operations in a sawmill (Pinto, Pereira & Usenius, 2002). The automation also requires real time simulations. Time required for the analysis of data related to logs should then be reduced. This additional constraint imposes a compromise between the accuracy of the model and the quantity of data to be processed. The geometric model used here is derived from the analytic equations representing logs, of which the data describing the external shape are consistent with those generated by multiple axes sensors (Longuetaud, Saint André & Leban, 2005). The hypotheses of regular cross-sections are abandoned. The cross-section is rather represented as an intersection of two half - conics in order to account for the flat parts or the oval of the section as well as its real eccentricity, which is the case when the geometric centre of the section is not a centre of symmetry. The log is represented by a set of surfaces of a circular or elliptical shape having straight generatrix. The logs are then subdivided into smaller logs which can be approximated by these (primitive) surfaces. Therefore for a straight log of wood, a unique primitive is sufficient whereas for a curved log, many primitives will be needed. In this case the discretisation could be controlled by the variation of the slope of a log’s generatrix. Any log of wood can be represented by a stack of primitives without necessarily considering paraboloides or neloides. To best approach the real shape of the logs, it is necessary to represent the cross-sections by an adequate analytic function. The use of a unique function (circle or cylinder) does not permit the representation of an arbitrary log. An error in representation can have a drastic influence over the qualitative evaluation of the sawing resulting from the log. The shape of the cross-section presented could be due to the eccentricity of the medulla of a trunk for a given straight log, or could simply represent the best approximation of an irregular surface. Also, in situations where the log is curved, the various primitives are inclined to the “vertical” by a certain angle, and the cross- sections (perpendicular to the vertical direction) are then the intersection of these primitives with the horizontal plan. Such ovoid surfaces should not be represented by regular ellipses (symmetrical), but by two half - ellipses. It is quite relevant to mention that in modelling the external shape of the log, swellings (which generally characterise the roughness of logs), should not be taken in account in the perspective of optimising the volume output of logs being cut up. Indeed they are generally outgrowth of buds and must be modelled as such; here we have only modelled smooth logs. From the geometric model of the logs, cutting consists of extracting the produce from the analysis of the intersection at various orientations of a cutting plane (modelling the saw blade) and the terminal surface of the log. The mode of cutting depends on the characteristics of the log and the equipments of the company. In order to optimise cutting decisions, an automated real-time (i.e. at production speed) evaluation of material dimensions and quality is required. Many modern sawmills now use scanners to collect data concerning the log geometry. This set of data is next processed by sophisticated software tools which help optimise the cutting process. It seems that the most important decision the sawyer usually makes is the rotational and lateral positioning of the log on the carriage for the first cut. The first cut of a log consists of cutting through one or more faces of the log. The first cut is a very important stage in log processing since all the other stages depend on it. Once a first cut is made, all other subsequent cuts are either parallel or perpendicular to it. Some of the requirements listed in (Williston, 1985) for a first cut to lead to a maximum value yield of a log are a knowledge of the log geometry (length, diameters, eccentricity, sweep...), the log quality, the determination of the best orientation and position of the log at the first cut, and the use of a cutting system that enables to obtain plane surfaces during log cutting. The prominent Best Opening Face (BOF) system (Lewis, 1985) serves in many sawmills as a means to help determine the first cut. The BOF uses the principle that the first cut is the key of the sawing strategy for a given sawing pattern, in order to maximise the yield of the saw log. Unfortunately this method is based on an oversimplification of the saw log as a truncated cone. Furthermore, BOF only considers the volume-yield of the saw log, leaving out the effect of internal characteristics. The table 1 presents some lumber types obtained after a primary conversion. The main factors that influence production in sawmills are the quality of raw material, the machines used, and the staff and work organisation. The quality of the timber has an impact on the products obtained after cutting (Pinto, 2004). With respect to the small logs, loss of material can be observed due to the effects of the wood feature, the precision, the method used in cutting, and the thickness of the saw. The achievement of a better profit in sawing industries depends mainly on the mathematical model of logs during cutting. It then becomes clear that the commercial value of the cuttings defined as our objective function is non-explicit. There exist constraints concerning the mechanical characteristics of the logs. These constraints can equally be non-explicit. Moreover the market standards impose technological constraints which render the problem of optimisation even more complex. Classification is the determination of the quality and quantity of cuts produced at a given moment in a sawing industry. To each class Ci we associate the commercial value Pi; this will enable us to evaluate the commercial value of the entire log. The classification has a very important role in the process of log exploitation; this helps us maximise production profitability. For this, some knowledge on the classification is required at various stages of the production. In factory processes, the classification of logs begins with an evaluation of the raw material. Normally, the higher the value of an item, the more important and necessary it becomes to have quality norms. These norms can either be defined locally or standardised. Such a classification of raw materials has beneficial effects on the timber producer, be him independent (selling his own product) or dependent (controlled by industries). These effects will give each of the stakeholders additional details on the real value of the raw material. There exist two major classification techniques: a machine classification and a visual classification. The machine classification is based on the use of mechanical stress with the help of a machine which permits us to have admissible stress values for flexion and the modulus of elasticity. The visual classification is based on external aspects of the cuts. The classes are defined according to the distribution of the nodes on the faces (position on the cuts), their size, and the number of nodes per face. For local sawing industries, we encounter three major classes. For the first class is made up of cuts presenting no defect (absence of nodes, dimensional conformity according to the functional condition of contract). The second class is made up of cuts having at most one node. For the third one, the number of nodes is greater than or equal to two and in addition, we can also find dimensional defects. Optimisation of the cutting consists of detecting and analysing the characteristics of a piece of wood in sight of running the cutting program in a way so to maximise the value of the products of each log to be transformed (Cummings & Culbertson, 1972). In the optimisation model, the system determines the optimal values of the exploitation parameters in a way as to maximise profit, subject to the constraints linked to the exploitation process. The optimisation model resorts to wide-spread techniques of linear programming or operational research (Schrijver, 2004). Nil the number of nodes per face on a cut of class i and of type l.
Til the size of each node on a slice of class i, type l (the size of each node on a slice of class i, type l (Til could be the distance between two extreme points taken on the contour of the node or the surface described by the cutting plane and the node envelope intersection curve). The above optimisation problem can be assimilated to a knapsack problem with non-bounded variables which can be formulated thus: We have N types of object (product from log cutting) in an infinite number for each type (Osario, Glover & Hammer, 2002). An object of type k has a positive integer value Ck (its market price) and occupies a volume ak (for a cut cross-section Sk). Let mk be the number of type k objects in the bag. The problem is thus expressed as: Finding the subset of objects of maximum value, whose volume does not exceed the capacity b of the bag. This is an integer problem linear programming with constraints. The problem is solved as a problem of resource allocation (Hanafi & Wilbaut, 2006). Dynamic programming is a method of resolving exact sequential optimisation problems, thanks to (Kellerer, Pferschy & Pisinger, 2004). The formalism of dynamic programming leads to many possibilities and variants. As a general rule, it is a problem (P) whose goal is to optimise a series of decision making with respect to the cost it involves. - When cutting materials: to minimise scraps when cutting rods into iron bars. The implementation of this algorithm leads us to the log optimisation software package presented the section below. The fields located before the tab “valider les données” (validate data) are used by the user to enter the data of the cutting problem. In the field “section maximale” (maximal cross-section), the user enters the optimal section calculated at the cutting interface of the software. The fields: “nombre de débités” (number of cuts), “prix associés aux débités k” (prices associated to cuts of type k) and “sections droites” (cross-sections) are related to the command. The user fills the form according to the enterprise’s decisions, the number of cuts for a particular type that he wishes to obtain and also the prices and the cross-sections associated to each type of cut. Once the data is introduced, the result obtained gives the “Vecteur de décision” (decision vector) which defines the quantity for each type that has to be cut in order to optimise the material output. One simple applied example given for commands of three types: chevron, backing strip, and beam. The optimal cross-section of the log is 14, the associated prices are (2, 3, 7) and the cross-sections of the cuts are 3, 4, 8 respectively. The computation of the program suggests that we have to cut out 2 chevrons and 1 beam to optimise the material output and the commercial value. For each log, the decision vector specifies which products have to be cut for a maximum material output and commercial value. Figure 3 gives an implementation example for a command list of 8 pieces. We realise here that for a log with cross-section 29, the optimal solution is to have nine cuts of type 7 and one cut of type 4. In traditional sawmills the log carriage is driven by operators, who have the responsibility of orientating the log and to make a first open up (Best Opening Face) that later results to a first saleable product and equally to a cutting method on the whole log which in one way or the other optimises the final result. The work complexity of the log carriage relative to the operators and the high risk of material waste bring about a drop in production rate and a low efficiency in these companies. - The software does not take into consideration the ordering list of the enterprise and the market prices in optimising of the cutting process. - Cutting is done uniquely with one of the cutting methods, whatever the operator’s order. - The software neither takes into consideration the real shape of the log, nor does it take into consideration the defects (nodes, rots …) on it. It deals only with the principal cross-section of the log. We run the risk of having much scrap. The cutting optimiser system implemented in this work permits us not only to optimise the material output, but also fill the gaps indicated above subject to the constraints associated to the exploitation. At the input of the system (Figure 5), we have the log already shaped into standard shapes of particular lengths defined by the cutter. The length of each log varies depending on the order. At the output of our system (Figure 5), we obtain the cuts. The optimisation system for the log carriage has in addition devices of the semi-modern software (piloting and optimisation devices), a decision making block which receives data from the input (characteristic dimensions of each log), analyses them together with the data from the command computer and then takes a decision on the cutting method to be implemented. This decision is transmitted to the automaton that commands the rotational and translational movements of the carriage. The command computer receives at its input a feedback from the market (database on the prices of the cuts) and the commands received by the enterprise. The form of the log of wood is generated by the geometric model described above. The precision and reliability of operations will enable us to increase the material output, productivity and the quality of the cuts produced independent of the wood type and the production type. The purpose for this work was to develop a production optimising tool in primary conversion wood industries of Cameroon. This technological procedure enables enterprises to improve on the material output of the transformed wood and also on their profitability. It has been observed from this study that since the implementation of article 71(1) of the Law n°94/01 of 20 January 1994, prohibiting the exportation of timber, the primary conversion of wood is done locally and the cutting is mainly traditional (manual log carriages) and semi-modern (automated log wagons). The modelling of the real shape of the log enabled us to identify the input parameters to generate the log in real shape. The formulation of the optimisation problem assimilated to a knapsack problem was solved using the method of dynamic programming. That enabled us to set up an algorithm for optimum cutting of the log, alongside a cutting optimiser. This work has led to a possible solution for increasing material output, productivity, and quality of cuts, regardless the type of wood. Chiorescu, S., & Grönlund, A. (2000). Validation of a CT-based simulator against a sawmill yield. Forest Products Journal, 50(6), 69-76. Cummings, L. K., & Culbertson, D. D. (1972). Sawmill simulation model for maximizing log yield values. Forest Products Journal, 22(10), 34-40. Danwé, R., Bindzi, I., Meva’a, L., & Nola, B. F. (2011). Numerical simulation of the geometry of logs for sawing industries. 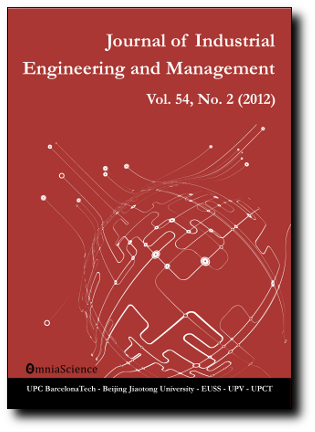 International Journal of Engineering Science and Technology, 3(2), 981-989. Danwé, R., Bindzi, I., Meva’a, L., & Mbagnia, B. (2009). Modélisation géométrique et optimisation de la production dans les industries de premières transformations du bois. Proceedings of the 19ème Congrès Français de Mécanique, Marseille, France, 24-28 août 2009. Garfinkel , R. S., & Nemhauser, G. L. (1972). Integer Programming. New York: John Wiley & Sons. ISBN 0-471-29195-1. Hanafi, S., & Wilbaut, C. (2006). Extension d’une heuristique basée sur la programmation linéaire pour le sac à dos multidimensionnnel. Conférence ROADEF2006. Kellerer, H., Pferschy, U., & Pisinger, D. (2004). Knapsack Problems. Springer. Lewis, D. W. (1985). Sawmill simulation and the Best Opening Face system: A user's guide. General Technical Report FPL-48, US Department of Agriculture, Forest Service, Forest Products Laboratory Madison, Wisconsin. Loi N°94/01. (20 janvier 1994). Portant régime des forêts, de la faune et de la pêche, Cameroon. Ngolle Ngolle, E. (2009). Foresterie: Les potentialités et opportunités d’investissement dans le secteur forestier. Cameroon Investment Forum. Pinto, I. (2004). Raw material characteristics of maritime pine (Pinus pinaster Ait) and their influence on simulated sawing yield. Doctoral thesis. Espoo, VTT publications. Helsinki University of Technology, 69. Pinto, I., Pereira, H., & Usenius, A. (2002). Sawing simulation of pinus pinaster Ait. Proceedings of the Fourth Workshop of IUFRO WP S5.01.04. Connection between forest resources and wood quality: modeling approaches and simulation software. British Columbia, Canada, 8-15 September 2002, Ed. G. Nepveu, INRA, Nancy, (pp. 429-438). Schrijver, A. (2004). Combinatorial optimization. Springer. Williston, E. M. (1985). Computer control system for log processing and lumber manufacturing. San Francisco: Miller Freeman Publications.